SOUTHINGTON — One of two Pennsylvania men who allegedly tried to use counterfeit money at a number of businesses in Southington, Wallingford and Meriden is expected to serve a year in prison. 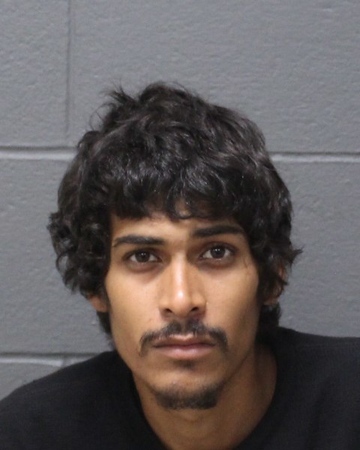 Antonio Cora, 27, of Philadelphia, Pa., and Nicholas Herne, 34, of Chester, Pa., were both arrested after allegedly using fake $100 bills or trying to at 10 area businesses, including eight in Southington. Cora appeared on Thursday in Bristol Superior Court, where his attorney said he anticipates a disposition to the case on the next court date, on Feb. 14. State prosecutors said a plea bargain that has been offered would include serving a year in prison. Cora, who is being held on $50,000 bond, has pleaded not guilty to two counts each of first-degree forgery, sixth-degree larceny, attempted first-degree forgery and attempted sixth-degree larceny. Police on Sept. 7, at about 4:14 p.m., were called after an employee at Bed Bath & Beyond, located at 825 Queen St., told a male customer that he could not use a $100 he had because it was fake. The store manager then followed the suspect out of the business and saw him get into a Jeep Grand Cherokee with a New York license plate. The manager called police, and officers found Cora in the parking lot to Buffalo Wild Wings, at 750 Queen St. He was seen leaving the restaurant and returning to the Cherokee, where Herne was sitting inside. Police said Cora had tried to buy food using a counterfeit bill. Officers reported finding bags in the vehicle from Petco, Dollar Tree, Chipotle, Mission BBQ, Chik-Fil-A and Pet Valu in Southington. Bags from Kohl’s, in Wallingford, and GameStop, in Meriden, were also found. Police said their investigation led them to believe that Cora and Herne either used counterfeit money at all of the businesses or tried to. They were both arrested. According to online court records, Herne in October pleaded guilty to one count of sixth-degree larceny and was sentenced to 60 days in prison. Posted in New Britain Herald, Southington Herald on Thursday, 24 January 2019 18:28. Updated: Thursday, 24 January 2019 19:21.